What background color would you like? What status is the Homeland Security Advisory System? 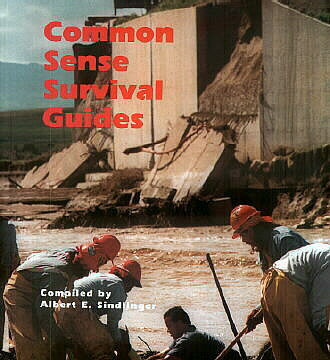 Welcome to the Common Sense Survival Guides home page. This site is created by Albert Sindlinger. We are a site that makes survival and preparedness information available to the people. The information is available in book form and also on this site. Recommend that you have a hard copy in case you are not able to access this web site. There are advantages to both. We have a wide selection of guides for many survival situations. For specific guides and information explore the site. Knowledge is power and it could save your life or a love ones. Get prepared and be prepared! Questions? Survival stories? Any suggestions for other survival guides? Communicate with Albert E. Sindlinger or get further information via e-mail!